The Cubs won 97 games this season, tied for their most regular season wins since 1945. In the playoffs they laid waste to the Pirates in the Wild Card game and the Cardinals in the NLDS. Going into the NLCS against the Mets, Cubs fans were very excited. This was their year to break the curse. Back to the Future ordained it! Instead, the Cubs got mollywhopped by the Mets. They lost 8-3 tonight to complete the four game sweep, as they got ripped apart by Lucas Duda’s five RBIs and another Daniel Murphy jack. 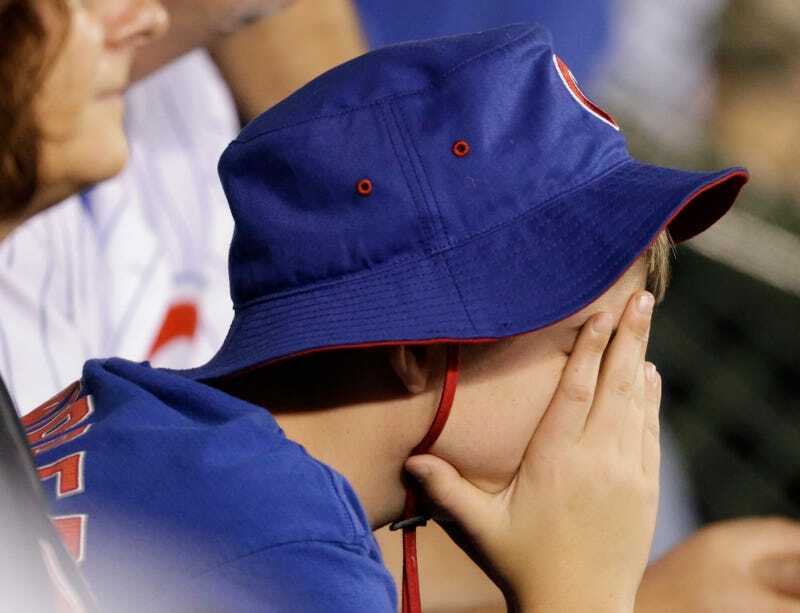 That made for a lot of sad Cubs fans, and therefore a lot of great photos of sad Cubs fans.